Pensil design was inspired in the old bridge Pênsil, currently known as D. Luís bridge, in porto. Created to celebrate the coronation anniversary of D.Maria II, Pênsil was a suspense bridge between Porto and Gaia. Nowadays you can appreciate the beauty of remaining pillars and ruins in the heart of the city. Pensil family design was inspired in the beauty and strength of the bridge and their support pillars. Designed by Tom Kelley, is a light but solid comfortable chair. 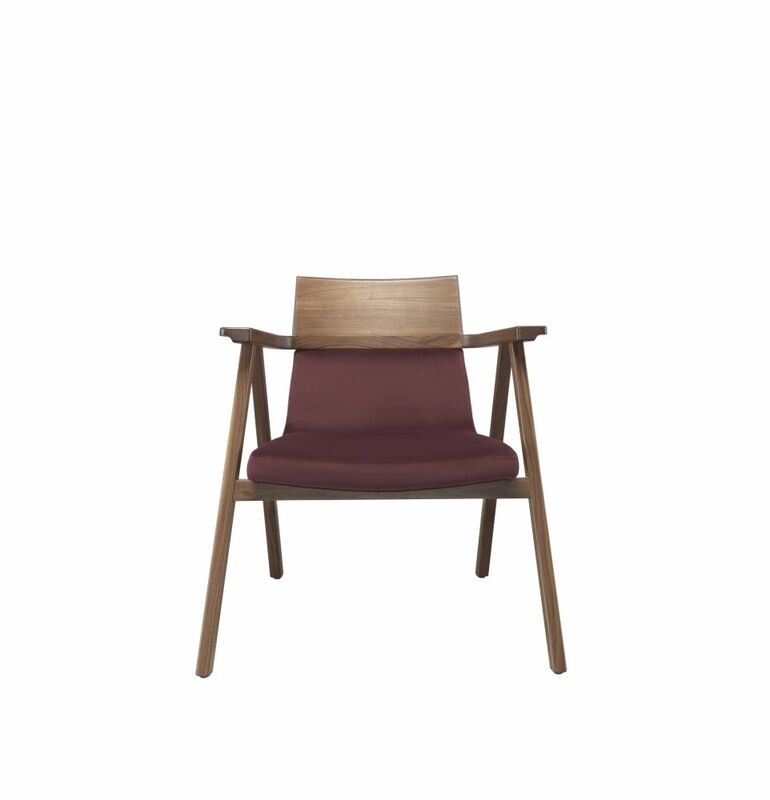 Pensil chair family has a sculptured wooden structure, created by using traditional techniques of woodworking and a soft seating in fabric or high-quality leather. Pensil can be totally customized. You can combine the wood option with the fabric, making pensil perfect for you and your decoration. "Thomas Ludwig Kelley, known in the world of design as Tom Kelley and in the world of painting as Thomas Ludwig considers him self after all as a observer and points out, all those observations want to come out as forms, compositions, colours, words. Born in East-Germany facing heavy political problems which did not allow him to go to university and eventually ended with 2 years in prison of the famous stasi. Freed from the than West-German government he studies in Aachen , Munich and Long beach /California. Especially his work as designer brought him 20 years ago to Italy,where (in Venice) he lives now more or less , considering his trips (mostly work) around the world. This travelling , living in other countries, learning other languages sharpened his eyes even more. Besides his portfolio of design he worked as well in the field of creating or restoring houses (the most famous was the Villa Michael Thonet). Despite his ripe age he still feels very unripe, he still searches challenges , he still falls in love with new situations. His antenna for today are his children and his younger wife which keeps him on the toes."